This post will stay at the top until after the blog candy give away has ended and the winners announced. I hope this will make things easier for everyone. The winners will be announced by noon on December 6th. (Pacific time). Well I must be a little wacky tonight - I just can't stand the thought of waiting until the end of December to choose the two winners of my blog candy. I am extremely excited about this give away and don't want to wait any longer so I am going back to how I first set up this give away. Are you ready for the winners??? Congratulations ladies! If you will email me your addresses I will get the prize packages out early next week. Thanks so much to each and everyone of you for joining in my blog candy and sharing some of the things you are so grateful for in each of your lives. I absolutely loved reading every single comment. I just had a wild thought. Since it's almost Christmas I think I will extend my blog candy give away until the end of December. I will add a third prize which means another chance to win. I sure hope you don't mind if I change the rules a little bit. I won't be able to post a photo of the new candy until later this week as well as add the photos of the new items added to the first two prizes. I appreciate your patience my sweet friends and I will get those photos posted as soon as I can this week. Please read the details of this give away carefully - I want everyone to have an equal chance at winning prizes. I have attached a photo of the first prize. Please keep in mind this is only the beginning and more items will be added throughout the month. Once I reach 100 followers I will add a photo of the second set of prizes. I will also add photos of the additional items added to each package. Hello my dear sweet friends - Happy happy Tuesday!! It's so hard to believe we are so close to the end of 2012 and the beginning of 2013. I remember my grandma and mom always saying how time goes by so much faster the older they get. I finally understand what they were talking about. I do however love this time of year and the upcoming holidays. I truly believe in the Attitude of Gratitude but not just for this time of year but for every single day. Sometimes when I think about all the challenges I have had in life and am currently going through I wonder if there is anything to be thankful for - and every time I start making my gratitude list I realize I am blessed beyond measure. Be a follower of my blog (unless you are already). List 3 things you are grateful for in your comments to me. It doesn't have to be anything elaborate - just from your heart. (You can list more than 3 if you want). Fill out the Simply-Linked form on the Top Upper Right Side of my Blog. Add your name where it says "Link Title" and then add your email and blog URL. This is how I will gather the information needed to choose the winners through the Random Generator. As a bonus since I have almost reached my first 100 amazing followers I want to start celebrating early. Once I reach the 100 mark - I am going to add another prize. Yep - that way there will be two prizes instead of one. So dear friends that gives you two chances to win. It's just a simple way for me to say Thank You to each of you for becoming a follower, brightening my world and making a difference. I am truly grateful for each of you. So please join in and lets share what we are grateful and thankful for. The amazing Lord above who gave His life for me and has never given up on me. My two loving, beautiful (inside and out), funny, smart and amazing daughters, Lynette and Tiffany. My two handsome, funny, adorable, tender and smart grandsons, Logan and Jared. The never ending love, encouragement and support from my family, friends and cyber-friends who have blessed my life in so many ways. And yes, that includes Hercules. Every soldier who fights for our freedom every single day and the sacrifices it takes to do so. You are the true HEROES!! Waking up each day to new beginnings and possibilities. The sound of my daughters and/or grandson's voices and laughter on the phone. Watching Hercules frantically fluffing his pillow to make it just right for his nap. Tank (my sisters pit bull) who wants nothing more than to sleep at (actually on) my feet and his excitement when I say "Go get your rope" so I can toss it and he can chase it and bring it back over and over again. It melts my heart to see him so happy and how he jumps so high and runs so fast across the back yard chasing down that rope. There has been so much loss and yet I am beyond grateful. Ironically I wouldn't have asked for any of it and yet I wouldn't change any of it. And that's because I am learning more and more every day that God is ultimately in control and I can trust Him. I am really looking forward to reading all of your comments about what you are thankful and grateful for in your life. P.S. Just remember the photos of the blog candy doesn't show everything that will be included in the final packages. At least once a week I will add something new to each package as a bonus. Am already a follower.....and now we also work as Teamies!!!! Hi Laine - what an amazing post. I am already a follower. 1. Family - my husband and my two wonderful daughters, without them - I would be nothing. 2. Friends - from all over the world and blog land, who make me smile each and every day - without you I wouldn't have the support I thrive on. 3. For the lovely family and friends. Hi Laine - This is such an inspirational post! I'm already a follower of yours :D And fellow DT sister. 3-For our jobs when so many are without them. 1.My children & my family of course! I'm thankful for family and four existing generations right now. I'm grateful that God has blessed me all that I need but not all that I want, leaving me room to hope and dream and work toward goals which are still out there. Bless you, my friend, and I'm so happy we're working together on a DT now. Your Gratitude blog candy looks great. Very lovely of you to spoil one of your followers. Hi Laine, I am already a follower of your lovely blog. 3. my friends...both here & in "blogland"....I have met some truly lovely people this last year since joining this amazing crafting world! 1)my son Michael, who is so helpful and loving. 2)my daughter Justice who is so creative and funny and even though she has autism, she never stops trying. 3) my son Daniel, he also has autism... and he give me joy and happiness, he shows me the beauty in the simple things. For him everyday is a joy. Hi Laine! Such a generous candy, and an inspiration, heartfelt and touching post! I'm a follower! I'm grateful for so much.. how to only pick 3! 1 - my friends and family, near and far, and departed. 2 - my ailing health - my daily issues are chickenfeed compared to some. 3 - my special needs foster-daughter - her disabilities are exhaustive, but her love never fails. She reminds me to stop to smell the roses! 1- My family (My dad and my 3 sons, you guys are awesome!! 2- My online friends, I find my days are much more fulfilled now that I have joined blogland- thank you!!! 3- My loyal and loving dog Luca who is always beside me. Laine, you are a total sweetheart! I linked back to you on my latest post--hope it helps to spread the word a bit! -The love and connection to family, friends, pets, and all those who I have the pleasure to come in contact with. It's nice to be reminded that things aren't as complicated as it seems when you're with these people. Ongoing support and general goodness gives you a sense of comfort when you feel alone. -Having enough luxuries in life to live comfortably. -Technology otherwise I wouldn't be able to see my boyfriend's face on video chats each night while he's working away from home for extended periods of time and I wouldn't be here connecting with all of you online! This is so wonderful for you to do. 1. Having my family start to feel better. 2. I am thinkful for my husband and daughters. 3. I am thankful for all the talented Crafter friends and all the amazing people. 4. I am most thankful for having love everyday of my life surround me. 3. My late parents who adopted me when I was three years old - actually rescuing me from an Orphanage I was in and making me the person I am today. Hi there....am your newest follower! 1- am grateful for my wonderful children and adoring husband. 2- am grateful for this free amazing country we live in! 3- am grateful for all of my crafting supplies and all the wonderful crafters out their who give me inspiration every day! Hi Laine, I joined as a follower. Thanks so much for the blog candy and for reminding us to be grateful. My next blog post is about gratitude. This time of year always makes me think more about what I am grateful for than any other time of the year. 2. I am grateful for my sweet mother. 3. I am grateful for our lovely home, food to eat, clothes to wear, electricity, gas, and phone. 4. I am grateful that I can hear, see, feel, touch, taste, smell and love. 5. I am grateful that I can walk, talk, run, play, eat, use my arms and legs and take care of myself and others. 6. I am grateful for all my blogging friends, followers, Tammy's Scrapin Corner DT team, my previous DT with Sketches by Carly who helped me get started in the DT world, friends I have made through my blog and the gift and love for scrapbooking and card making. Thanks so much for giving us the place to tell what we are grateful for in our lives. 3.Just waking up and enjoying the day the simple pleasures everyone should be able to enjoy !! Hi honey. What a great way to get us all to sit and think about the positive aspects in our life's. there is so much negativity in the world lately that sometimes we really do need to sit down and think about how lucky we all really are in totally different ways. You are so kind and very generous. 1. I am grateful to have a roof over my head and warm and fed where others in the world have not got that luxury. 2. I am grateful for two handsome boys who bring me such happiness and love where others don't even get that chance. 3. I am grateful for a fantastic family who love, care and support me in every way. No matter what they are always there. 4. I am grateful for a talent of crafting that has bought me here into blog land where I've met some truly inspirational and very friendly people who have so much love for others. 1. My husband and children. 4. My scrapbook room that my husband built for me. I feel blessed every day that I craft in there. 5. My brain and my ability to use it. 6. My staff and the children I teach. Thanks for such an inspirational post. It certainly gives one food for thought. Have a blessed day! 1. Jesus Christ - my Lord and savior who called me out of darkness and into his marvelous light! 5. Beautiful grandchildren - Mariah, Halie, Taylor, Walker, Sydney, Nolan and Carson - I am so blessed! 1. I'm thankful for being born normal..I mean physically and mentally!! Thanks for visiting my blog and inviting me to your blog and blog candy. I just became a follower. 1. for my family, I have the most wonderful husband and the best daughter in the whole world! 2. for my friends, they are the best I can wish for. 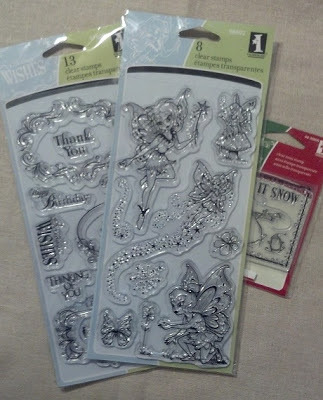 3. for all the wonderful people I found in the cardmaking-scrapping world through internet. Thanks for the chance, wishing the best for you! I'm so excited to be a new follower to your blog! My list of what I'm thankful for could stretch on and on! 1) My loving and affectionate pets, who always greet me at the door as if I've been away forever! 2) My craft room where I get to de-stress, and create! 3) For my job.. Yes, my job! Where I get to help those in need, and where I get to hang out with my dear friends! Thank you so much for making me stop and think of these things today! Laine, thank you for the opportunity to join in your fab blog candy. Three things I am greatful for -- um, where do I begin? My list is far greater than three. I am thankful for each day the Lord gives me. I am thankful for my family. I am thankful for my friends. I really could go on, but you asked for just 3, so there they are (smile). Hi Laine! Thank you for the kind comments over on my blog! I've been enjoying reading yours, and not just because you're offering blog candy. I've always admired your work and am way overdue in joining as a follower, but here I am! Three things to be thankful for...hmmm...there are so many. Instead of the obvious ones regarding friends and family, I'm going to step out of the box a bit. 1) I'm thankful that I love to craft, have full use of my hands, and had a mother who instilled the love in me at a tender age and a wonderful daughter who is following the tradition. She comes over every Friday as it's her only day off from both work and school and spends the entire day crafting with me. We three generations know that we will never be bored a single day in our lives (like so many of our friends) and that we are always learning new things. 2)I'm thankful that I have a husband who loves the fact that I could retire from a very stressful job so young because of him (I'm 53) and loves how I spend my days crafting instead of shopping and sleeping late. I am busy all the time, and he loves how that makes this house a warm home, something he's never had in his life (he's my age and we've been married only two years). 3) Last, but actually first above all others, I am thankful so much for the forgiveness that the Lord has given me though I deserve it probably the least of anyone I know. I still marvel each day that my world is so comfortable and happy, though I'm not deserving of it. And that is the best gift I will ever be given. So thanks, Laine, for the opportunity to win your blog candy, but more importantly (after the candy is gone) to be able to share in your world by reading your fun and informative blog. I've been far to late in joining! 1.) The Lord, and him allowing me to wake up every day! 2.) My family...which consists of my 6 awesome children, my wonderful Husband, my 3 granddaughters, and my sweet Daughter in law!! 3.) My Scrappy friends who I have grown to love and consider my extended family!! Have a great weekend and congrats on reaching your 100 member mark! Hi Laine! It's so nice to be able to make new friends in blog land who are sincere and friendly from the heart! Thank you for your sweet comments and joining my blog, you have brightened my day! I have now become a follower of your blog and appreciate the invitation to join your blog candy giveaway! I need to get around to posting a giveaway soon as I have lots of extra goodies to share! 1. I am thankful to my Lord and Savior Jesus Christ for dyeing for me and taking the penalty for my sinful heart...He is so faithful even when I am not. Thank you Lord! 2. I am thankful to the Lordfor giving me the most loving husband a girl can ever know. He is my hero, my soul mate and often shows me how very much I need to grow in the area of being a better spouse. He has stood by me through the valley of the shadow of death and has truely loved me even more than I have loved him, for that I am so grateful! 4. I am grateful for all the blessings I have in my life; a home, food in the cupboard and an abundance that goes beyond my expectations! 5. I am grateful for the best in-laws a wife could ask for. 6. I am gratefull for being born into the U.S. where freedom is a right fought for by the brave men and women of our military both now on the present and in the past. May God Bless them and their families. Our country may not be perfect but there is always hope for a brighter day! Thanks for the lovely comments you left on my blog. I am now following your blog and have entered for your candy. Thank you for visiting my blog and becoming a follower! I am now a follower of you. I am thankful for the Lord above. For my family. My sweet husband who supports all my crafting! My wonderful daughters and their husbands, my 5 beautiful grandchildren and my dear sweet 89 year old Father. I have to say my 3 little kitty's. And all my new blog friends who are so kind and supportive. 2. Grateful that they all are saved by the blood of Jesus Christ and that they love Jesus. the most poor gypsies in Romania. ministries and to be there for them. that we were able to help them in many ways and help the mto find their way in life. I am your new follower. Liked the thought of asking about the thankful things. 1. To god for making my mind turn towards crafting since 5months,as am just a beginer. 3.For getting a chance to see everyday. Such a wonderful idea to ask us to post what we're grateful for. 3. I'm grateful for the freedom of Religion here in Canada. Such a blessing. Thanks so much for the chance. I've linked your giveaway to my blog sidebar and I'm a new follower. 3.For God that he loved us so much that he would send us his only son to be born in a stable and to die on the cross for our sins...Our God is an awesome God!! Congratulations for your 100 followers, wishing to grow the number each and everyday. I am always be thankful for friends and family. Than the little creativity god gave me, because of that I earned many creative friends from all around the world. Congratulations to the winners! Thanks for a great give away - have a wonderful weekend everyone! Challenge 14 - Twist of Faith - "Light"